You can easily travel from New York to Washington D.C. by train. 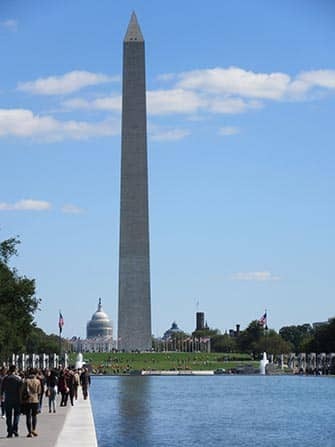 Just a train ride away, there are a lot of things to see and visit in the capital, not only the White House! What about the Arlington Cemetery or the free Smithsonian Museums? 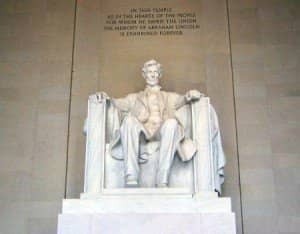 There will be enough time to see all of these landmarks that are part of the history of the United States. The day trip starts at Penn Station in Midtown Manhattan and includes lunch and a bur tour. The train trip itself takes 3 to 3.5 hours. After enjoying the scenery along the way you’ll arrive in Washington D.C. during the morning. A 2-course lunch with priority seating at the Hard Rock Cafe is included. Before and after lunch you have plenty of time to explore the city. Enjoy the Hop on Hop off bus tour of the capital, where you can hop off at any of the sights. Be sure to wear comfortable shoes and clothes as you won’t be returning until late in the evening. It’s advised to carry a small bag with water and snacks, and sunscreen during the summer months. The bus stops at or near to – among others – the US Capitol, the Library of Congress, Georgetown and of course the White House. There is plenty of time available to visit the Lincoln, Vietnam and Korean memorials and even see the famous ‘Changing of the Guard’ at Arlington Cemetery. Be sure to hop back on the bus to be on time for the train back to New York. 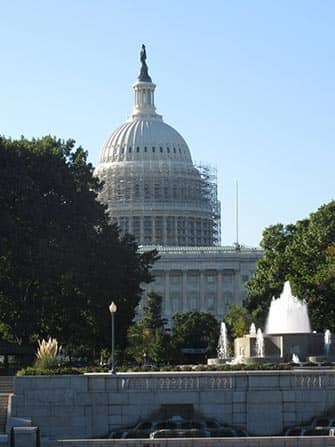 Eric’s Tip: A day in Washington D.C. is very short and there are many things to see. Because you have a lot of freedom to do as you please, I suggest that you make a clear itinerary beforehand so you know where you want to go. That way you can see as much as you can and it will save valuable time. Alternatively, you can also spend the night and spend another day in the city. Trust me, it’s well worth it! After purchasing, you will receive a voucher that you can print, or show as a mobile ticket on your phone. Note: If this trip is booked 15 days or less prior to departure, the reservation is subject to a surcharge.